Porsche has officially taken covers off its latest sportscar, the 918 Spyder. 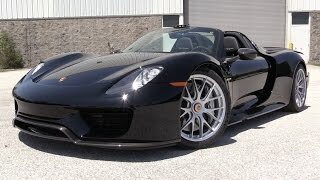 The 2015 Porsche 918 Spyder combines pedigree motor racing technology with excellent everyday utility, and maximum performance with minimum consumption. The main source of propulsion is the unique hybrid system that consists of a 4.6-liter, V8 engine that produces 608 hp of power with a 154 hp hybrid module on the rear axle, and a 127 hp electric motor on the front axle. That’s enough for a top speed of more than 211mph and to accelerate from 0-62mph in just 2.8s. To save weight, components such as the oil tank, the air filter box integrated into the subframe and the air induction are made of carbon fiber reinforced polymer. 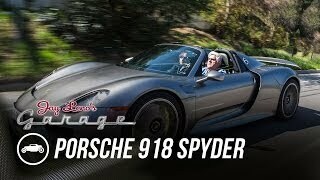 In ideal conditions, the 918 Spyder can cover approximately 18 miles on purely electric power. 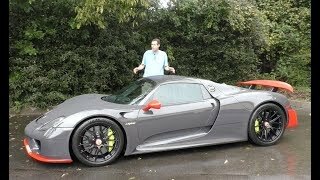 Even in pure electric mode, the 918 Spyder accelerates from 0 to 62 mph in seven seconds and can reach speeds of up to 93 mph.